Combining old-world charm with modern amenities, this historic hotel offers ski equipment hire. Situated in the vibrant Albaicin, the hotel has easy access to numerous dining and entertainment options. The Palacio de Santa Ines offers a convenient 24-hour reception as well as family/oversized rooms, air conditioning and ski passes. The hotel also offers a beauty salon, meeting rooms and massage services. Guests can also make the most of the hotel's shuttle service and the ticket desk services. 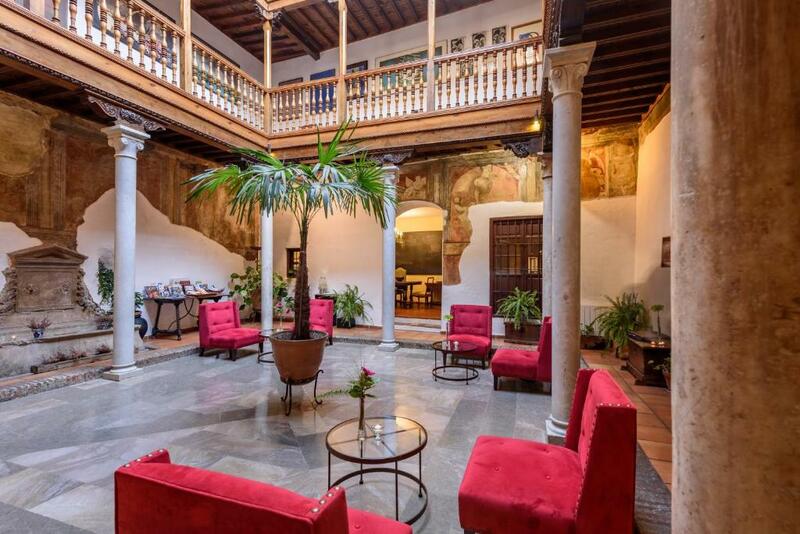 The Palacio de Santa Ines offers comfortable and spacious rooms equipped with cable / satellite channels, a mini bar and complimentary toiletries. A hair dryer, a sitting area and a private bathroom can be found in each room of the hotel. Also included in the rooms are heated guest rooms, an in-room closet and a desk with an electrical outlet. To ensure your day has a good start, the hotel serves a buffet breakfast each day. For other meals, there are many restaurants and cafés situated nearby. The location of the hotel means guests can easily reach many places of interest by foot. Located just a short walk from the hotel are Granada Cathedral, the Madrasah of Granada and Royal Chapel of Granada. This hotel is 976 metres from the Alhambra entrance, 258 metres from Plaza Nueva (the absolute centre of Granada), 1659 metres from the train station and 2967 metres from the bus station.